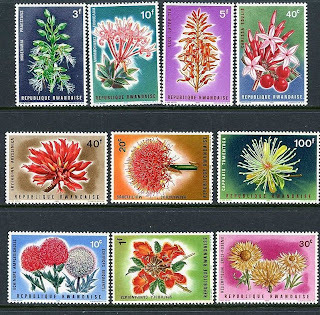 In 1966, Rwanda issued a pretty set of ten stamps picturing Native Flowers (Scott #151-60). 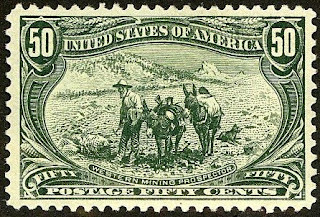 35,000 sets were issued and Scott '13 prices the unused set at $14.10. The set has potential market appeal among collectors of Flower Topicals, Rwanda, and Belgian Colonies/Area. According to a recent survey, Flowers are the 5th most popular topical collecting category among U.S. collectors, and it's likely that this popularity is roughly the same internationally. 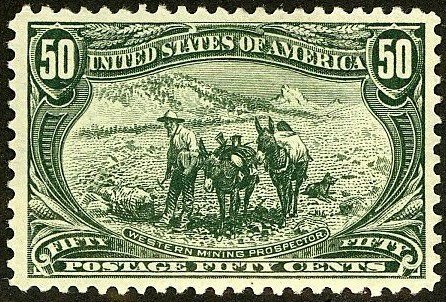 While I do not believe that Rwanda will develop a significant domestic stamp collecting base in the near future, I am more sanguine about the prospect long-term. A nation of 10.7 million people, Rwanda received considerable international attention due to its 1994 genocide, in which an estimated 800,000 people were killed. Since then, the country has made a recovery and is now considered a model for developing countries. In 2009, a CNN report labeled Rwanda as Africa's biggest success story, having achieved stability and economic growth. The country is still largely dependent upon agriculture, with coffee and tea being the main exports, although the government has taken an active role in bolstering a growing manufacturing sector. Average income has tripled in the past ten years, and annual GDP growth has been impressive, averaging over 7% over the last five years. 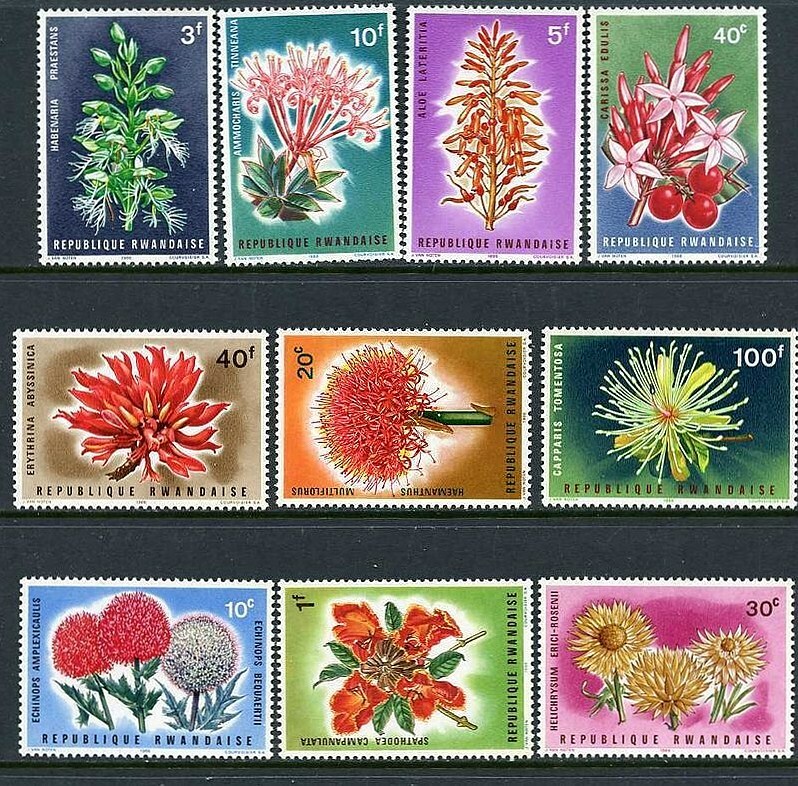 You have released a set of ten Native Flowers stamps, they are really very beautiful. And the information you provided about Stamps is very valuable.